The fire on North Fork Mountain continues to smolder. Photo by Bryan Lemaster Photogrpahy. Fire on the mountain. The North Fork Mountain fire in the Mon National Forest illustrates the financial challenges the U.S. Forest Service faces surrounding fire suppression. Firefighting costs come from the Forest Service’s operating budget, which means every dollar spent fighting fires is not available for the programs and recreation access that attract visitors who support local jobs. A new House bill would change this. The Wildfire Disaster Funding Act proposes a formula that budgets for fire suppression based on the average of previous years’ expenditures — separating it from operating budgets. Rep. Evan Jenkins is a co-sponsor. Monument attacks get real. Bills working through both chambers would gut the Antiquities Act. One, HR 3990, would limit presidential proclamations to very small historical sites; the bill also would require most monuments to be approved by state legislatures — or even county governments. Stand by for updates and actions! 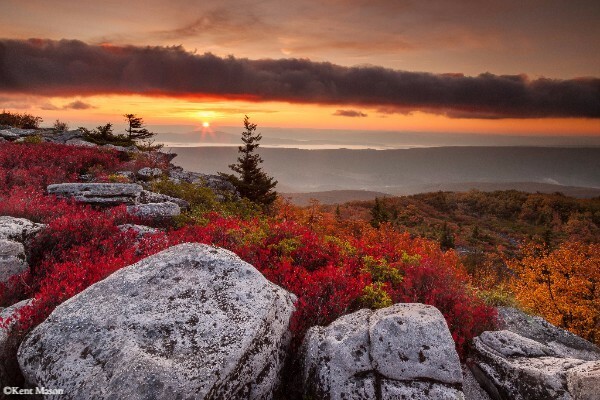 Dolly Sods Wilderness is one of the special places that benefited from the “Wild Mon” legislation. 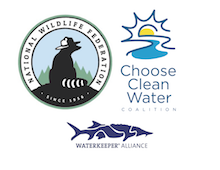 WV Wilderness Coalition was founded by WV Highlands Conservancy, WV Chapter of the Sierra Club and The Wilderness Society to lead the effort on the “Wild Mon” legislation that in 2009 successfully added new wilderness areas and additions to others. Following that success, WVWC took the lead on efforts to secure national monument designation for the Birthplace of Rivers area. 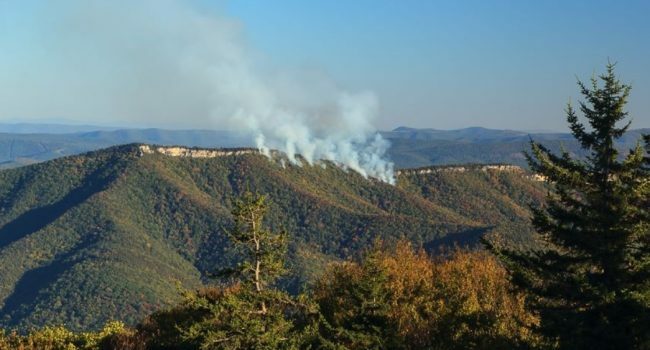 The group was a founding member of the West Virginians for Public Lands alliance, and has provided critical funding to provide professional staffing to keep the alliance growing. In August, WVWC Chair Karen Yarnell penned a wonderful letter published in the Exponent Telegram. 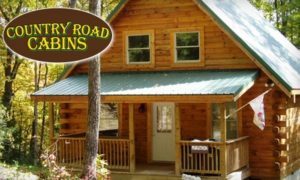 A big thanks to Country Road Cabins in Hico, WV, for stepping up into a leadership role for the campaign. Owners Paul and Jennifer Breuer moved to southern West Virginia in the 1970s because they loved outdoor adventure. They were founders of one of the first whitewater rafting companies on the New and Gauley rivers, Mountain River Tours. Paul was part of a team that visited the WV congressional delegation in September; he also recently joined the WV Rivers board of directors. Bob Bittner Jr. is a longtime activist for West Virginia’s public lands and waters. He is an avid angler and former officer for the Mountaineer Chapter of Trout Unlimited. By all accounts, Bob was an instrumental activist in the Wild Mon campaign of 2009. Today, Bob lives in Sugar Grove, Pendleton County, where he crafts extraordinary furniture. 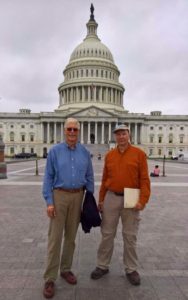 In September, Bob joined a WV Rivers team on Capitol Hill meeting with our state’s congressional delegation. In the photo to the left, Bob (right) is pictured with WV Rivers board member, Paul Breuer.